FC Barcelona ran out 3-0 winners against Athletic Club at home in the league thanks to goals from Paco Alcácer, Leo Messi and Aleix Vidal. 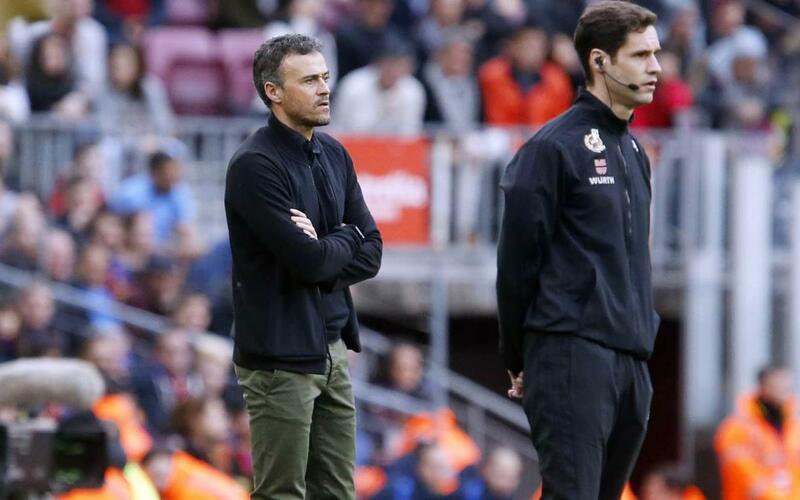 Barça have now reached 100 goals in all competitions this season and Luis Enrique at pains in his post-match appearance to point out that the win at Camp Nou and the enitre season rely on the strength of his whole squad. “To be able to compete and fight for trophies in all competitions, we need the whole squad,” he said after making several changes to the starting eleven for the visit of Athletic. Despite the scoreline, Luis Enrique admitted it had been far from: “There’s never an easy game against Athletic, regardless of the result. Whether it’s at San Mamés or Camp Nou, when they have the ball they make us run, they are a tough team. On a more personal note, the Barça boss was happy for one of his strikers to open his account in official competition. “I am delighted for Alcácer; he is always looking to get better. He took his goal well, it was a great finish and it will be great for him and the team,” said Luis Enrique.